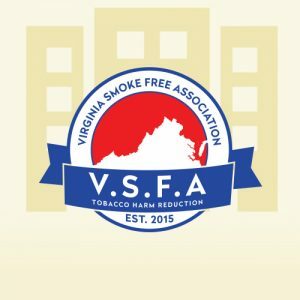 If you are a Vapor Company outside of Virginia but you would like to support the Virginia Smoke Free Association as an Associate member, you can do so for $50.00 per month. With the proud honor of becoming a associate member of the Virginia Smoke Free Association, you will be the first to hear when new legislation drops in Virginia and surrounding areas. The majority of the dues go to funding of the lobbyist. All VSFA Board Members and staff are Volunteers, no money goes to salaries. A portion of the dues are used to run the corporation, maintain the website, process credit card transactions, and pay dues to the VTA for national coverage. We strive to keep expenses to a minimum. Our goal is to collect enough funds to hire a PR firm to generate positive publicity about the vaping industry. There are 2 ways for submitting payment and application to become a associate member below. The checkout process is your membership application.